If you are looking for a fun and exciting field, a wedding planning business could be perfect for you. The wedding industry is a healthy, thriving, prosperous market to enter for anyone who has great people skills (a must! ), and who is looking to establish a business of their own. Starting a wedding planning business offers an opportunity to earn an excellent income, as well as the pride and self-satisfaction of business ownership, while doing something you already enjoy. It is a great business for those who love weddings and who are highly organized. It is also a natural progression for those already in the wedding industry – people who are currently operating bridal boutiques, wedding stores, floral services, catering businesses, and reception venues. Weddings are big business. The Association of Bridal Consultants estimates that consumers spend a whopping $33 billion on their weddings every year. According to Brides Magazine, the average couple has a $26,989 wedding, and many more couples spend on top of that amount. Today’s bride is spending more money than ever before to ensure that her wedding day – the single most important day of her life – is planned to perfection. Once reserved only for the very rich, today’s brides- and grooms-to-be, often busy with dual careers yet wanting to make their wedding uniquely personal, are turning to consultants for help. Wedding coordinators are being used more to help couples save time, money and considerable stress preparing for the wedding. More people are finding that a good wedding consultant could be a source of information, ideas, and contacts for the bride-to-be. Hiring a wedding consultant could help ensure that the wedding day ends far more spectacular than the bride has ever envisioned. They provide guidance on etiquette, invitations, planning and directing the rehearsal and ceremony, even arranging transportation and accommodations. Wedding consultants may also assist in locating a site for the ceremony, shopping for the wedding gown, arranging for childcare and shopping for wedding accessories. As such, professional wedding consultants are compensated well for their knowledge, talent, time, and expertise. The services of wedding coordinators are also frequently used in the planning of other social events such as anniversaries, engagement parties, graduation celebrations and other similar functions. This creates the potential to tap into these other markets as well, thereby expanding the overall prospects of your wedding coordination business. Wedding coordinators play an important role as professionals within the industry. A consultant’s primary function is to help a couple learn, implement and manage all the necessary tasks required to host a successful wedding event. As a wedding coordinator, you assume the role of a planner, facilitator, mediator, money manager, artisan and organizer of all parties concerned. Your role is to be “on top” of everything – every finite detail of the wedding — to ensure that the clients will have a wedding ceremony that is unique and special. Wedding planners are expected to prepare everything about the wedding- from proposing wedding themes, scouting locations, arranging a budget and timetable to remembering to bring white bobby pins for the bride’s veil. Duties can include setting up appointments, offering etiquette advice, mailing invitations and recording responses, coordinating the decorations, negotiating contracts, and attending to many other details. You may also be expected to decorate the entire venue, choose the wedding photographer, prepare the schedule for different before-and-after wedding parties and festivities, as well as control and guide the caterers. However, many wedding planners also set their limits as to what they can and cannot do. One wedding planner I know draws the line at writing the thank-you notes. As a wedding planner, it is important to clarify expectations with the customers before the contract signing as to what you will do, and will not do. Weddings, being extremely emotional events, can oftentimes try the patience of a saint. The wedding coordinator must be able to “handle” any situation that will arise. You will be dealing with not with the bride and groom-to-be, but everyone else in their families and circle of friends. Even the most well-planned, beautifully orchestrated event has some sort of emotional twist or turns that a consultant must be able to skillfully negotiate. A successful wedding planner needs to be an expert in hospitality, event planning, decorating and wedding trends and traditions. You need to be knowledgeable of the latest trends in wedding products and services, food, music, ceremony and reception décor. You need to have a good fashion sense. You will be expected to advise the bride on the proper attire for the wedding party, appropriateness of gown styles in accordance with wedding formality, principals to use in assisting the bride in choosing veils and headpieces, guiding the bride through the process of apparel ordering & alterations. The wedding business is a people business: hence, you must be a master in diplomacy possessing excellent communication skills. You must understand the bride’s psychology, including her anxiety and stress, to work well with your client. You must also be an effective arbitrator to help the bride and groom (including their mothers) reach decisions harmoniously on the guest list, music, desired ambiance, and other minute details. You must have good networks, possessing good contacts with high-quality, reliable wedding services. These include photographers, videographers, florists, caterers, hotels, make-up artists, jewelers, churches and rental halls, musicians and disk jockeys, and even travel agents. Most of all, you need to have the skill to coordinate all of them. Wedding planners are expected to turn a $10,000 wedding into looking like thousands more were spent. Thus, you need to be a creative negotiator who is quick to develop solutions and negotiate prices with suppliers. Since most wedding coordinators are solo entrepreneurs, you also need to know bookkeeping, marketing, understanding and analyzing your market. 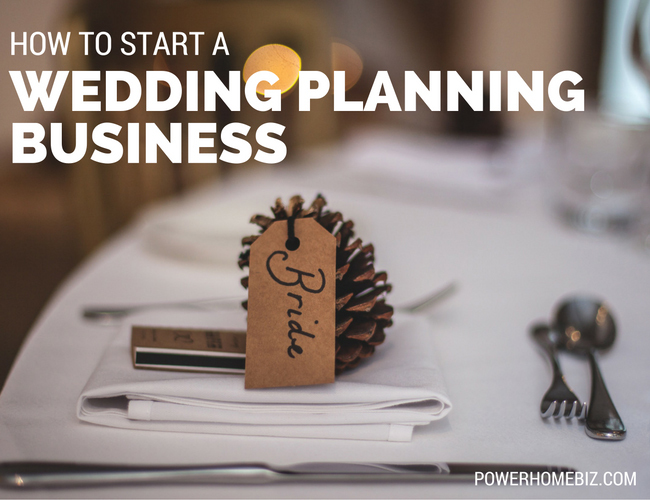 You must develop a winning business concept and formula for your wedding planning service. Check out sample business plans for a wedding consulting business. What sets your wedding planning service apart from your competitors? 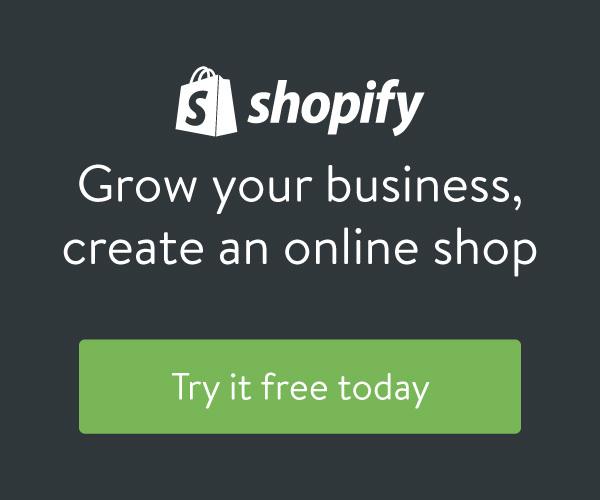 Why will customers choose your service instead of your competitors? You also need to have basic and financial management skills and organizational ability to run a business and even oversee a wedding budget. I know of a wedding coordinator who worked hard learning all the things she needs – spending time with a florist, assisting a caterer – before embarking on her own business. As you learn easy and inexpensive ways specific to the field of wedding coordination, you also need to know how to attract customers and build a fabulous reputation and clientele for your service within your local market. Your pricing strategy can be an important factor to your success. Set your prices too high, and you may find that you have priced yourself out of the market. Set your prices too low, and you may be setting yourself to a financial headache. The pricing of a wedding coordinator will depend on the location, nature of tasks involved and your level of expertise. Some wedding coordinators charge based on a percentage of the wedding’s cost, while others charge a flat fee. Flat fees may range from 10 to 15 percent of the wedding budget. Since the average wedding using a coordinator costs about $15,000, your earnings may run from $1,500 to about $2,000. Some others charge an hourly rate ranging from $50 to $150 per hour. According to many wedding coordinators, the average wedding takes about thirty-to-forty hours of coordinating, which ends up costing between $1,500 and $3,000. Pricing Business Services: How Much Should I Charge? It normally takes three years to establish a wedding consulting business, and five years to become profitable. If you work on thirty weddings in a year at an average rate of $1,500 per wedding, you can expect to earn $45,000 in a year. If you work alone on a full-time basis, you can service about 40 weddings a year, providing nine man-days per wedding. To increase revenues, other wedding coordinators provide extra services such as printing invitations, selling accessories or renting tuxedos. The wedding business is seasonal. The months of September, October, June, and August are traditionally the busiest months. Winter months are slow; except if you are in a tropical country where December is also a busy wedding month. The wedding consulting business is extremely stressful, demanding, competitive and with small profit margins. You will be working on a number of elements over which you have no control. A good wedding coordinator must be able to anticipate events and plan every little detail about the wedding. However, it takes time to gather the level of knowledge you will need to plan and execute creative and well-managed weddings. Consider learning the profession by working for someone else at first. One of the best things you can do is to find a seasoned consultant and offer to work for them, even for free. Another way is to work closely with people involved in the business – the caterer, bridal designer, and other professionals in the field. It will help you gain a clearer view of the business, and gain some experience before you take the reins of your own business. You can always go solo once you have developed your skills. 2. Build your portfolio of satisfied clients. The wedding consulting business is built on reputation. Potential clients will want to look at your credentials and record of accomplishment in managing and organizing weddings. To help you build a portfolio of your work, organize weddings for families and friends. Be sure to get pictures from the photographer and a recommendation from the bride. 3. 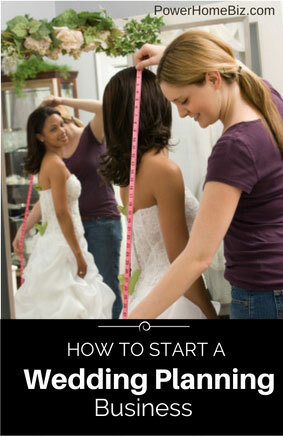 Constantly update your knowledge of wedding trends and etiquette. Read magazines to keep you abreast of the ins and outs of wedding protocol. You also need to learn about wedding and reception decorations, starting with flowers. Catch up on the latest trends on wedding attires. Take time to attend other weddings in order to learn some other great ideas that you can use in your business, as well as the big mistakes and fiascoes that you need to avoid. Attending bridal shows is also useful. Be sure to collect your ideas in a notebook. 4. Establish a network of suppliers that you can rely on. Research the vendors that provide food, beverages, entertainment, clothing, and supplies for weddings within your region. It is important to know who is available and what they charge and to be acquainted with their reputations. Establish relationships with your potential suppliers and negotiate the best possible price. 5. Strive to improve your people skills. A wedding planning business is people intensive: your success will greatly depend on how well you work well with your clients. The bride and groom, as well as their families, can be nervous about getting everything ready for the big day. You need to have the ability to maintain a cool head and possess social graces. Jenny Fulbright is a writer for PowerHomeBiz.com. Wedding planning is a great profession in which you can earn money and help people also. And the info you have shared really describes the whole scope of a wedding planning profession. A great article! The aspect of dealing with the bookkeeping and basic accounting is of prime importance or else there won’t be proper financials to make assessments about the business.